There is a reason why the White Dot is still the worlds favorite ball. Its quality and beauty have bowled over beginners and seasoned players for more than three decades. It's a winning choice for entry-level bowlers. Grab your White Dot ball today! This ball definitely goes straight as advertised, perfect for picking up all those single pins. Definitely a valuable addition to the tournament arsenal or just for casual league night. I finally found a spare ball that compliments my game. Just getting back into the sport after a long absence and needed an affordable entry level ball. This ball fits that mold perfectly. Excellent weight, looks great and and rolls perfectly. Gets a great back end hook for a plastic ball. I just bought this ball recently as my spare ball and it did exactly what it was made to do for me.....pick up spares. 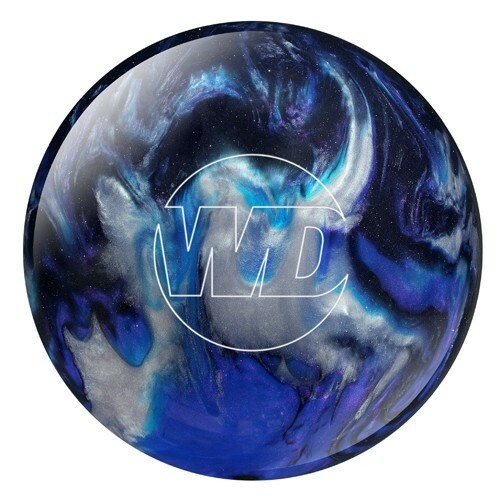 I would recommend this ball to any bowler no matter what the skill level is. The ball fits and looks great. Another bonus for this ball is that it comes in several different colors, which a lot of polyester bowling balls lack. I had trouble with right side spares and changing my motion to get less hook wound up hurting both my first and second balls. The white dot takes a little while to get used to if you're used a big hook, but it pays off in the end. I don't fear the 10 pin anymore! Can't say I would put much stock into using it as a strike ball however. After using this ball twice, one league and one tournament, my bowling has improved. I've had this ball for 2 years now. This is a good looking ball and I love it. Even though it's not a hook ball, I can hook it like crazy. And thats all I have to say about this ball. this a great ball 4 spairs! This plastic ball is best suited for spare shots or for beginning bowlers. its perfect. i got three strikes in a row,in the first three frames. I use this for spares. Already remove some oil before using it, but still too slippery. HAD TO GO DOWN TO PLASTIC DUE TO AGE AND SLOW SPEED. TRIED IT OUT AFTER GETTING USED TO BALL REACTION BOWLED 3 GAMES HIGHER THAN I HAVE IN QUITE AWHILE. THE BALL STARTS REVING UP THE LAST 18" .HAS GREAT CARRY POWER. ONLY ROLL 10 MPH. HAD MORE STRIKES THAN USUAL WITH REACTIVE RESIN. Bought for my nephew...awesome ball. My nephew picked out this ball. It was great looking and he'll have it long after his hand no longer fits. The ball reacted like it should. How do I know what size drilling? Hello. You can either have bowling.com drill it for you for $14.95 but does take about 7-10 business days or you can go to a local pro shop and have it drilled perfectly to your hand. I just ordered a ball. I plan on taking it to my local pro-shop to get fitted. However, I didn’t indicate if I was left handed or right handed. Will that matter? I am right handed. For this particular ball, it will not matter if you are right handed or left handed. This ball hooks a little too much on Medium oil conditions, can I use a Abralon sanding pad (4000 grit?) to polish it and reduce friction? Due to the time it takes to produce the Columbia White Dot Blue/Black/Silver ball it will ship in immediately. We cannot ship this ball outside the United States.